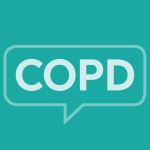 November is COPD Awareness Month! One way to spread awareness is to change your avatar (profile image) across social media sites. You can download any of the images to use as your own! To download it to your computer, simply right-click on the image you want to use and choose the option to “Save Image As” – and it’s yours!